When I found out that we were expecting our first child I started planning out all the books I would read on parenting and discipleship, as well as all the wonderful children’s books I was going to read to my little girl. But I find planning things always much easier than actually carrying them out. While I do read stories to my children as well as children’s Bibles, I have always struggled with the best way to shepherd my kids. So, how do we disciple our children? What are some guidelines? 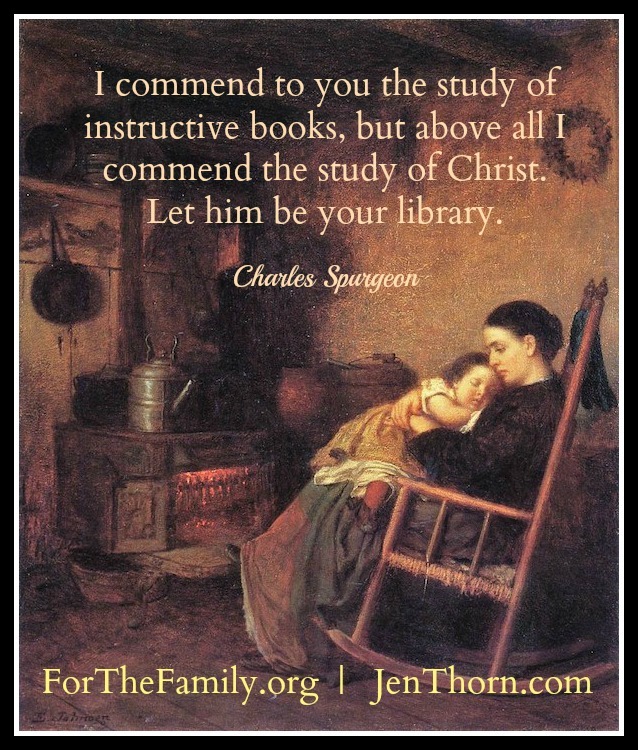 I recently read a sermon by Charles Spurgeon called “Feeding Your Little Sheep” which was such an encouragement to me as I try to figure out how to disciple my four kids. Following is a small summary as well as my thoughts. Children learn the most from their parents. While reading books to them is great, we must be able to give scripturally sound answers to everyday situations and questions. If we are not learning ourselves, we won’t have any Biblical wisdom to pass on to our kids. We need to be listening to sermons, reading solid Christian authors, and digging into our Bibles. It’s when the fruit of the knowledge of God is growing in our lives that we have something to feed our children. Make sure that you are examining your heart to make sure you are not being a hypocrite while you are teaching your children. You must believe what you tell them to believe, and you must practice what you tell them to practice. While no one is perfect, our children need to see that we are trying. It is great to surround our kids with stories of morally upright and good people, but we must spend even more time reading and teaching them Biblical truth — truth about the character of God, the condition of man, the life and death of Jesus. We must also teach the Bible stories found in the Old Testament being careful that we do not simply moralize them. Most of the people found in scripture were not morally upright men or women; they messed up, but God worked in them, changed them and used them in spite of their sinfulness. Shepherding our children requires constant care. We must always be aware of what other teachings are making their way to our children’s brains and hearts. Poison is not only found in the world. Sadly it is also found within “Christianity” and we must be watchful. We must shy away from fluffy Christian dribble that tickles the senses but doesn’t feed our souls or the souls of our children. Much of what Christ taught was hard truth meant to show us the best way to live and our need of a Savior. We must know Truth and be able to explain it to our kids because it is applicable to their little lives as well. He is the one we proclaim, admonishing and teaching everyone with all wisdom, so that we may present everyone fully mature in Christ. To this end I strenuously contend with all the energy Christ so powerfully works in me (Col 1:28-29). Training and teaching children in the way of faith and righteousness is hard, long work. There will be some lessons that will need to be taught 500 or more times before they find their way into the hearts of our children. Instead of looking at our 5- or 10-year-old and getting discouraged or frustrated with the progress, we need to take a longer view and aim for the man or woman we want them to be when they are 20 years old. We must also be careful not to judge other peoples’ children; they are a work in progress just like our kids. And God is not finished with us either! Don’t grow weary of teaching and training your kids. I know it can sometimes seem overwhelming. I often feel ill-equipped, but we are not called to carry out this task of making disciples on our own. We are to rely on God’s strength and the Spirit’s comfort and learning. Our little sheep must be led and fed. This is our calling and privilege. I grew up in Germany and spent a few years as a missionary kid in Africa. 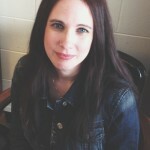 I ended up at Moody Bible Institute where I met my husband and best friend. We have been married 16 years and have 2 boys and 2 girls. We live in the suburbs of Chicago where my husband is a pastor. I love theology and have a passion to help women take their walk with God to a deeper level. I love this painting! Can you tell me the artist and title of the painting? Thanks for the article! The Painting is by John Leon Moran.